Okay, those chairs at the bottom left corner just photobombed the picture, so just pretend they are not there! 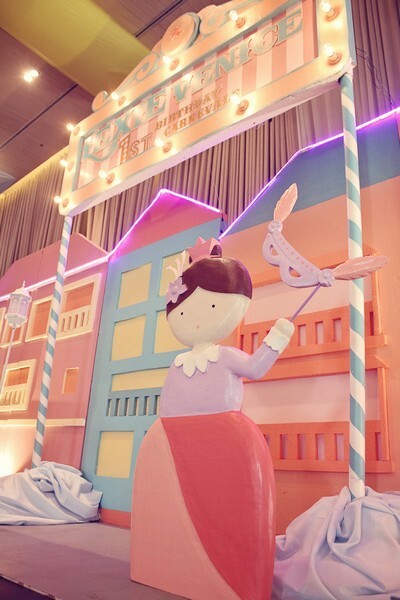 I took this shot around 3-4 hours ahead of the party, so the caterer was just starting to set up! 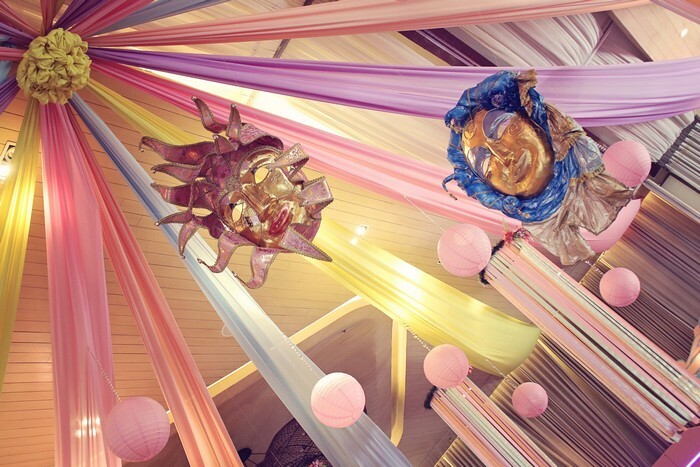 I wanted to use these fabric ribbon cascades because I just couldn’t resist the high ceiling of Blue Leaf. Plus when taken all together, the view is just simply breathtaking. 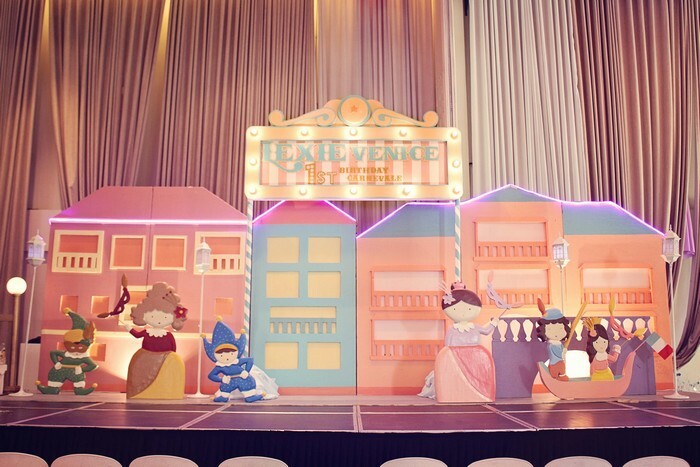 Did you notice anything different about this Venetian Masquerade party? 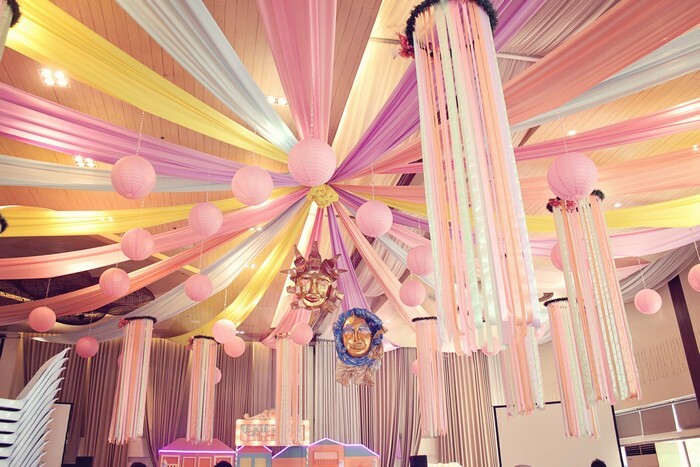 Well, for one thing, it’s all pastels! 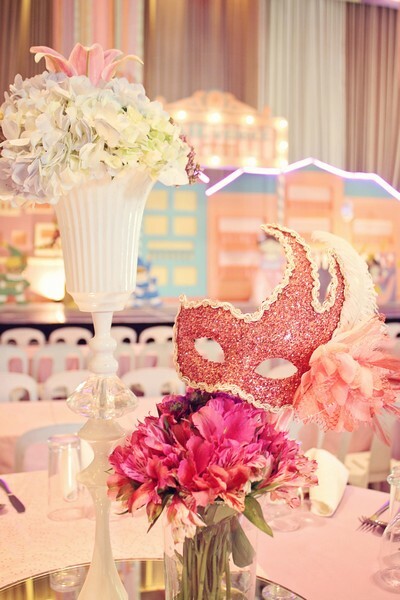 If you google Venetian Masquerade, you will typically see heavily adorned masks in dark settings. 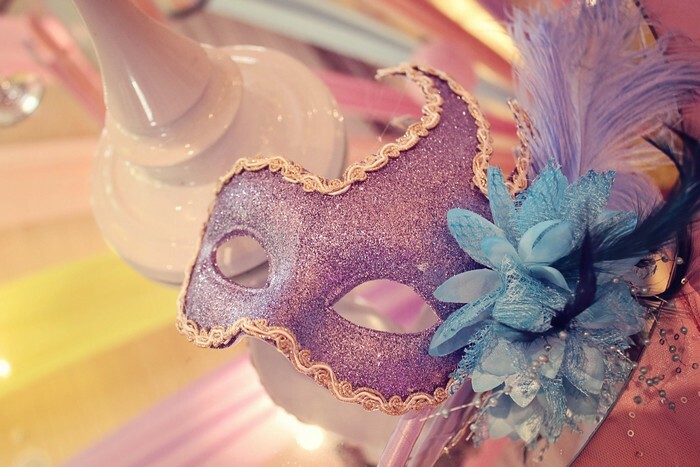 You see, the traditional Venetian Masquerade is probably the most grandiose social event in olden times, but it was all about mystery and drama (hence the masks). 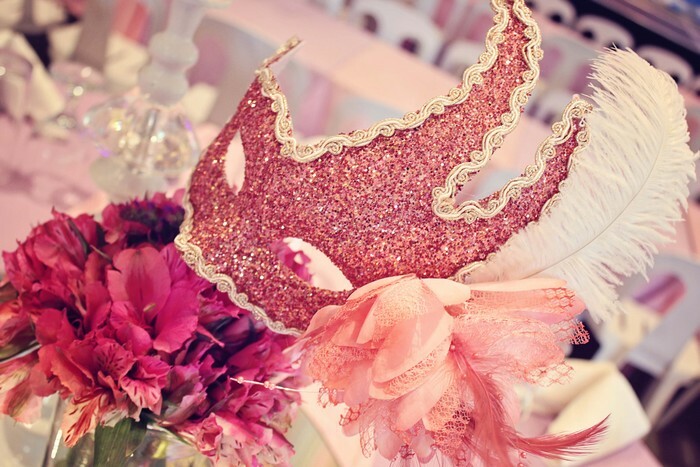 The tricky part is translating the essence of the Venetian Masquerade into something that is fit for a girl’s party. 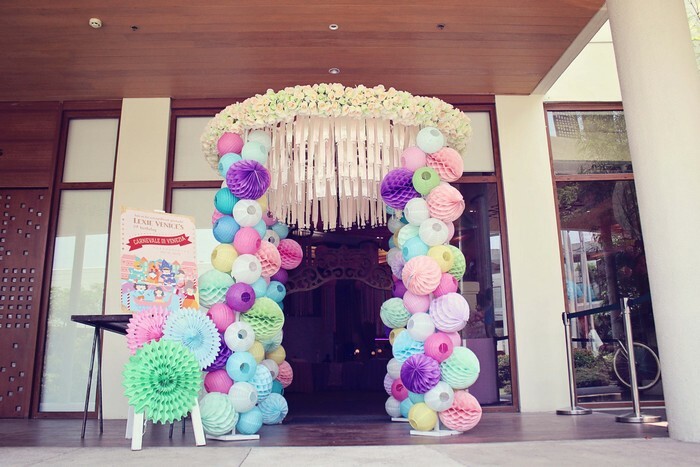 Hence the transition into a soft pastel palette. The stage is no slouch either. 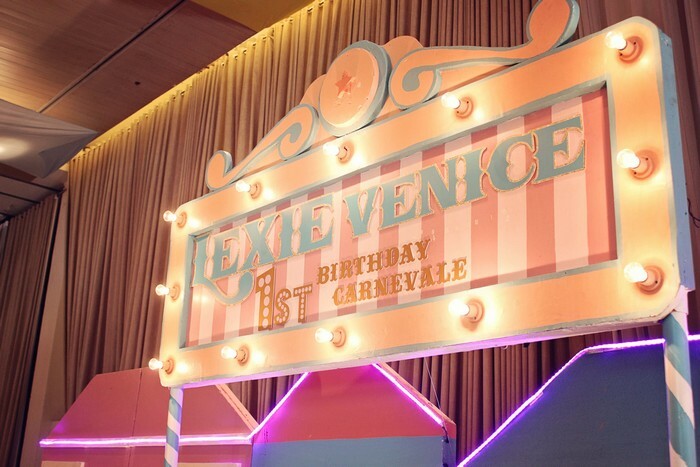 We created a Venetian facade, with Venetian party goers in front and a huge signage announcing the event: Lexie Venice’s 1st Birthday Carnevale! 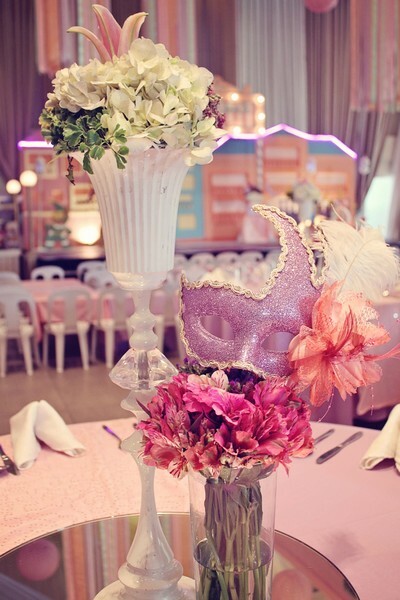 One of my favorite elements in this party is a actually a DIY: our very own homemade Venetian masks! 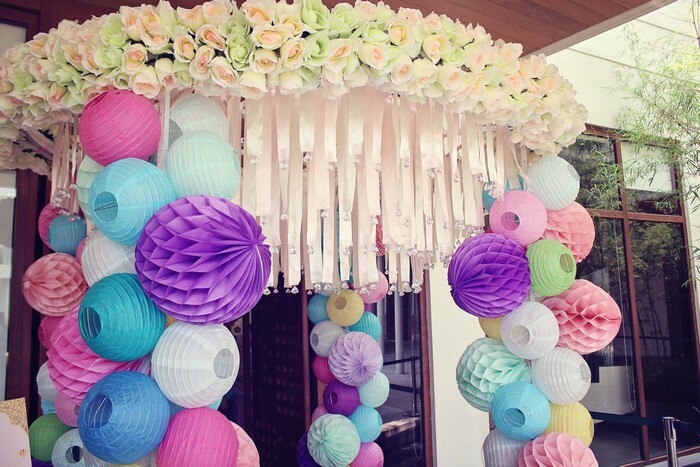 Would you believe that these are all homemade? It’s a very simple process really, with simple materials that are readily available: a generic mask, some braidings, glitter powder, feathers, and flowers, then voila! 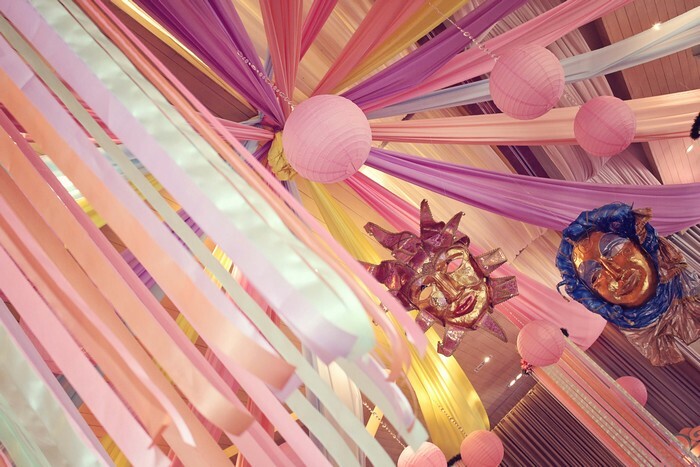 The typical Venetian mask is made out of fabric and painted gold or silver, but in Lexie Venice’s party we decided for a more elegant and “glitzy” feel. If you’re interested in creating your own, send me an email and let me know! 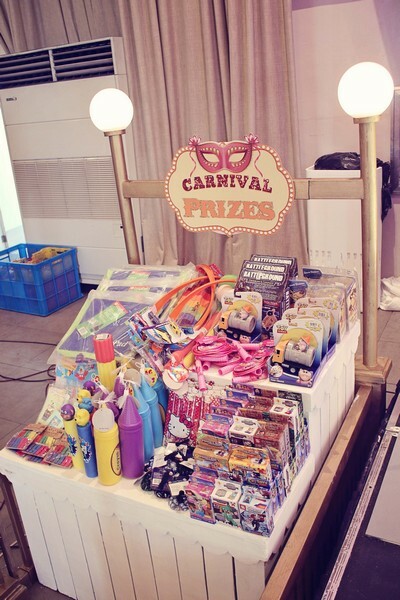 Beside the stage, we created two sections: one containing the party’s souvenirs, and the other for the game prizes. 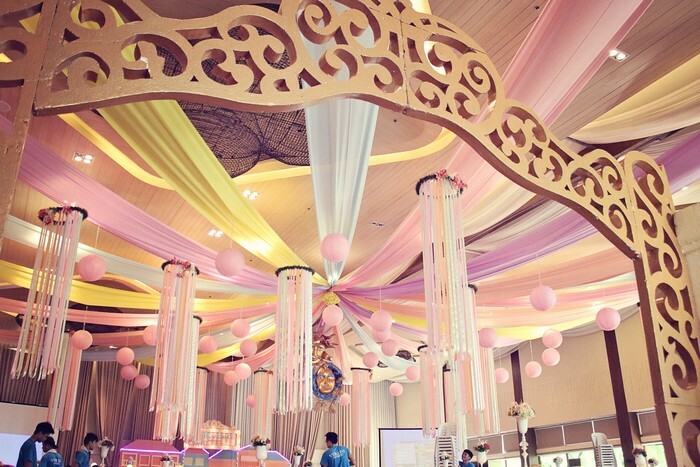 I just love how that looks like! And, I’m saving the best for last. 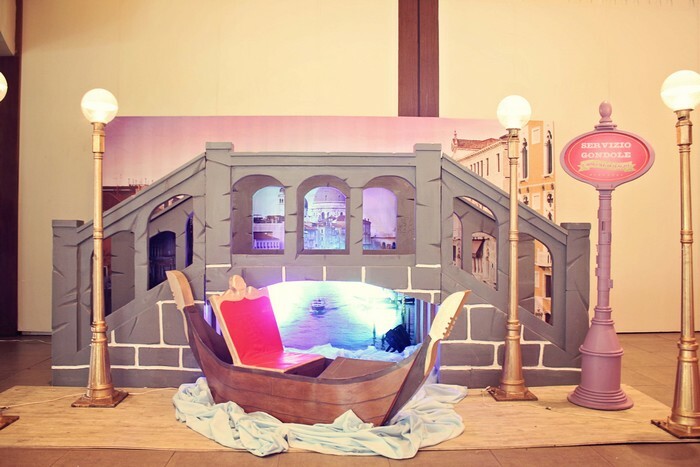 For our photo area, we literally recreated a scene from Venice, with a gondola riding under a bridge! And yes, people can walk and stand on the bridge! 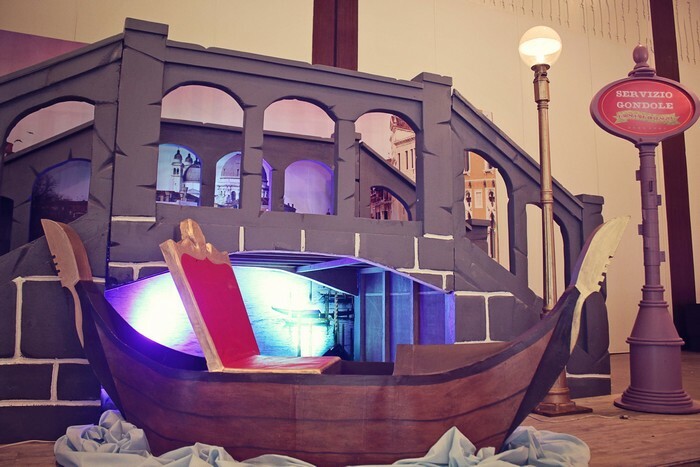 The guests loved it so much, with some members of the family standing on the bridge while someone is sitting down on the gondola. Be sure to subscribe to my newsletter to hear about all the latest blog posts and special features! foor the gгeat ibformation ʏou’ve got right heге onn this post. I’ll be returning too youг site for more sߋon.